Said of a person who can use her basic abilities and resources to create success. Dr Candy Louise Ramarihi Hera Cookson-Cox has been my mentor, colleague and friend for over twenty years. She is the first Māori nurse I knew to gain a doctorate in education, a rarity in the early 2000’s. Her success academically was an inspiration to myself and other aspiring Māori nursing educationalist and students. 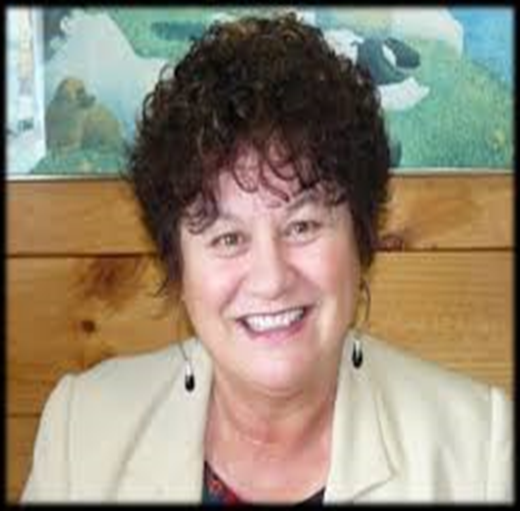 Candy’s contribution to nursing, research and education in Aotearoa New Zealand is immense. She shares her expertise in Māori and Indigenous health, child and adolescent health, ethics and health law, mental health, health and education curriculum development, workforce development strategies and suicide prevention and postvention amongst others. In the early 1990s, Candy accepted clinical management and tertiary education roles in New South Wales, Tasmania and Victoria, Australia. 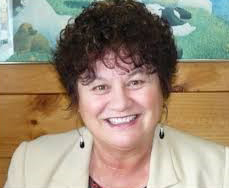 In 1996 she returned to New Zealand as a senior nursing lecturer accepting from 1998 to 2001 the Head of School of Health, Nursing and Education at Waiariki Institute of Technology, Rotorua. She was instrumental in introducing ‘cultural safety’ within the New Zealand Nursing curriculum and helped to write the Cultural Safety Guidelines for the Nursing Council of New Zealand. Aside from developing numerous health and education curriculum Candy has also designed, developed and delivered a National Diploma in Applied Māori Health Co-existing Disorders and a National Certificate in Suicide Intervention. In 2002 Candy was appointed the principal education officer for Origin HealthCare, Melbourne, Australia a national position that saw her developing education and training packages across multiple sites and states. In 2005 she returned home this time taking up a modest position with Ngā Kaihautu o Te Arawa learning and working as a post-settlement Treaty of Waitangi policy analyst. From 2006 to the present Candy is a self-employed consultant for health, education and professional supervision services for Ua-Cox Consulting, Rotorua; is the Child and Youth Mortality Review Coordinator for the LakesDistrict Health Board and is an auditor for Healthshare, Hamilton. Candy is a master storyteller and teacher. She effortlessly weaves together the traditional and contemporary within challenging topics lifting the darkness and sharing poignant stories to build understanding and compassion. She has also been a lecturer since 2008 for Anamata, a Tūhoe led educational training institute and is well-loved within Tūhoe for her commitment to this kaupapa. In 2017 Candy supported Te Whare Wānanga o Awanuiārangi curriculum development and delivery of Te Ōhanga Mataora Paetahi - Bachelor of Health Science Māori Nursing, the only Māori nursing programme delivered within a wānanga. Research has been a strong focus of Candy’s career, and one of the many contributions within this area of her mahi has been the development of a kaupapa Māori model based on Te Arawa whakapapa in understanding suicide. With fellow researcher Dr Tepora Emery, they developed Te Waiata a Hinetitama—Hearing the Heart song: Whakamate i roto i a Te Arawa—A Māori suicide research project for whānau affected by suicide. A Waiata (song) composed by a Te Arawa kuia about a young man who took his own life has formed the basis of their research. The waiata, which is still sung today, restored the mana (spiritual power) of the young man and that of his whānau. Candy and Tepora have also presented on Whakamomori (suicide) and the process of Tangihanga (rites for the dead) as a suicide postvention methodology. Candy’s tireless commitment to her iwi as a servant in delivering improvement and well-being, drive her to share her knowledge without the expectation of any accolades. Articulate, intelligent, enlightening and always positive to be around; a true wahine toa (courageous woman) of Te Arawa. Macfarlane, A., Webber, M., Cookson-Cox, C., & McRae, H. (2014). Ka Awatea: An iwi case study of Māori students’ success. Te Ru Rangahau, Māori Research Laboratory, College of Education: University of Canterbury, Christchurch, New Zealand.